... for hundreds of years. North Arm has been a gathering place going back many generations. Archaeologists have excavated ancient cooking fires and hearth pits going back hundreds or possibly thousands of years - exactly the same as ours here. 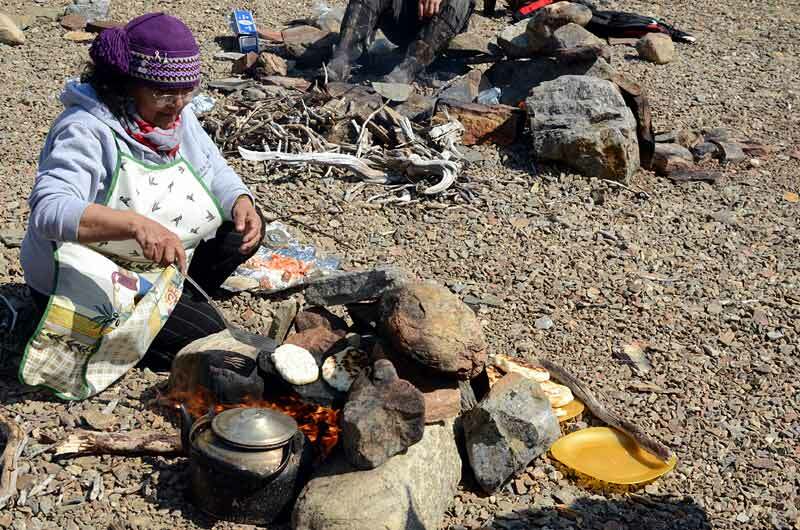 With a fire made of driftwood, and some simple tools, we were soon enjoying bannock and char and tea, with good appetites.